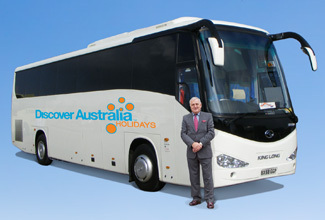 This itinerary can be done in reverse (travelling by Spirit of Queensland north to Cairns). We have presented the southbound train direction as it is a smoother journey with better timing and connections. Let us know if you prefer the northbound direction. The Great Barrier Reef is one of the world's most spectacular natural features, an amazing underwater world of breathtaking beauty. The reef is alive with an abundance of colourful and exotic marine life, including multi-hued angelfish, vivid-yellow butterfly fish and the clown fish of ‘Finding Nemo’ fame. Visit the beautiful idyllic coral cay of Green Island located right within the Great Barrier Reef itself. The island is an Eden of tropical rainforest, stunning white-sand beaches surrounded by magnificent technicoloured reefs teeming with diverse and wonderful marine life. You'll explore these balmy, clear waters, discovering this extraordinary underwater wonderland, your companions being huge shoals of multi-coloured damselfish, graceful butterfly fish, hawksbill turtles and charming dolphins. The islands interior is a wonderland of pristine rainforest, lush, green and verdant. You'll enjoy exciting and memorable experiences here, such as the glass-bottomed boat tour or snorkelling, creating memories that will last a lifetime. Cruise across the Coral Sea to Green Island in the comfort of your modern air-conditioned catamaran, enjoying an onboard briefing about the day's activities and options. View the coral reef and tropical fish from the comfort of the semi-submarine or the glass bottom boat or alternatively snorkel in the clear tropical waters to witness the stunning spectacle of the marine world (snorkel gear and training provided). Spend time browsing the resort shops or just relax on the white sandy beach. Explore this tropical paradise further with a walk around this tiny coral cay. Perhaps visit Marineland Melanesia - a fascinating walk-through nautical museum featuring live crocodiles, tropical marine aquariums and Melanesian artefacts. Our friendly crew will help you to choose your options, organise your activities to make the most of your time on Green Island. Semi-Submarine Option: explore the Great Barrier Reef in air-conditioned comfort, without even getting wet. Seated below water level, you are treated to a divers view. Glass Bottom Boat Option: View the diversity of the reefs coral gardens and their wonderful array of sea life with the added fun of lively fish feeding. Snorkel Option: Snorkel and swim in the clear calm island waters at your leisure from the beach or on a supervised Boat Snorkelling Trip. Explore the idyllic tropical island at your leisure, walk the beach and rainforest boardwalks or perhaps just find your own piece of paradise to simply relax and take it all in. The colours and underwater personalities from today will stay in your memory for a long time. This afternoon, enjoy a guided tour of the main sights of Cairns. Visit St. Monica's Cathedral, which features the World’s largest themed stained glass windows. Enjoy afternoon tea of scones and jam at the Botanical Gardens and visit Barron Falls before visiting spectacular Palm Cove before being dropped returned to Cairns. Breakfast, Luxury Half Day Cruise with Return Transfer, Green Island Cruise, Half Day Cairns Coach Tour, Afternoon Tea, Overnight Cairns Accommodation. Breakfast, Luxury Day Tour with Return Transfer, Kuranda Scenic Railway, Army Duck Rainforest Tour, Skyrail Rainforest Cableway, Overnight Cairns Accommodation. Cairns is set on the azure waters of the Coral Sea and Trinity Inlet, a magnificent tidal estuary with waterways winding through a 300 square kilometre maze of mangroves with a rich diverse wildlife and stunning scenery. You will be picked-up from your hotel, travel through Cairns and be transferred to the boat harbour to join this amazing 2 hour cruise of Trinity Inlet, the picturesque wilderness right on Cairns doorstep. Relax on this scenic calm water cruise whilst crocodile and bird spotting, learn about the life of a crocodile (including their breeding habits with the chance of seeing crocodiles basking on the muddy banks in their natural habitat). Cruise along the Cairns harbour waterfront learning about the points of interest and the history of the harbour, enjoy the incredible scenery of the estuary, mangroves, rainforest and mountains. Morning tea is included. Your comfortable, air-conditioned vessel has a fully licensed bar with snacks available. Your appetite is sure to be strong following your relaxing cruise and the fresh sea air. Enjoy your Special Waterfront Lunch at one of Cairns’ best restaurants - serving the finest steaks from the grill, fresh local seafood, delicious pastas and tasty specialist foods. This absolute waterfront venue has some of the best food in Cairns and an informal cool tropical atmosphere making your Cairns Special Lunch truly memorable. Breakfast, Luxury Day Tour with Hotel Pick-Up, Harbour Cruise, Morning Tea, Special Cruise Lunch, Overnight Cairns Accommodation. Breakfast, Luxury Coach Tour with Hotel Pick Up, Morning Tea, Tropical Lunch, Daintree River Cruise, Guided Rainforest Walk, Vehicular Cable Ferry, Afternoon Tea, National Park Fees, Overnight Cairns Accommodation. Enjoy breakfast this morning before being personally met at your hotel by a DISCOVER AUSTRALIA representative and transferred from your hotel to Cairns Railway Station for your journey aboard the Spirit of Queensland to the vibrant Brisbane. 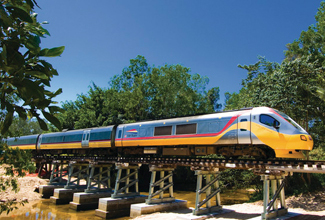 Travel south along Queenlands coast to Brisbane in your comfortable rail bed. Enjoy personal entertainment systems featuring on-demand music and movies, choose from a variety of hot & cold dining options in the Club Car and relax as you make your way to Brisbane. Includes meals at your seat, complimentary alcoholic and non-alcoholic drink with lunch and dinner. Breakfast, Meet and Greet Personalised Rail Transfer, 1 Night Rail Bed on the Spirit of Queensland, 1 Lunch, 1 Dinner, 2 Desserts. Enjoy breakfast this morning from the comfort of your Railbed seat before arriving into Brisbane. On arrival in Brisbane, you will be personally met at the Railway Station by a DISCOVER AUSTRALIA representative and transferred from the Railway Station to Brisbane Airport for your flight home. You have 3 choices of accommodation in Cairns. Our "Good Standard" central Cairns hotel has great facilities, a comfortable room and friendly service (typically 3.5 stars). Alternatively, why not treat yourself? The "Deluxe" hotel has superior facilities, stylish room and first class service (typically 4 stars). The “Luxury” hotel has upscale with a more luxurious feel for the discerning traveller and great for celebrating an anniversary (typically 5 stars). You will be personally met by a DISCOVER AUSTRALIA representative and transferred from the airport on arrival in Cairns to your Cairns hotel, from your Cairns hotel to the Cairns Rail Terminal for your journey to Brisbane and then from Brisbane Rail terminal to Brisbane Airport for your flight home. The renowned Spirit of Queensland... This remarkable journey connects Brisbane and Cairns, travelling along the coast of tropical North Queensland. From iconic beaches and the colourful Great Barrier Reef or luscious rainforests and laidback cities along the coast - immerse yourself in the pioneering spirit and charm of rail travel. It's the little things about travelling by train that stay with you. The way people unwind, relax in each other's company and marvel at the stunning scenery. Enjoy the excitement of what lies around the bend, keeping you focused on the moving lens of your panoramic window. Explore the colourful landscapes or coastal serenity, admire city views, meet the local characters and hear about the fascinating history and heritage of Queensland. Discover and explore the vibrant urban villages across the cities, dine alfresco by the ocean, uncover the stories of the past, explore dramatic landscapes or immerse yourself in a remarkable diving experience on the pristine coral reefs. With activities to suit everyone’s holiday agenda, Tropical North Queensland will create memories to last a lifetime. Enjoy the luxury of time with a rail journey in Queensland that spans the scenic coastline. Use this tool to discover more about the renowned Spirit of Queensland (select sections above). 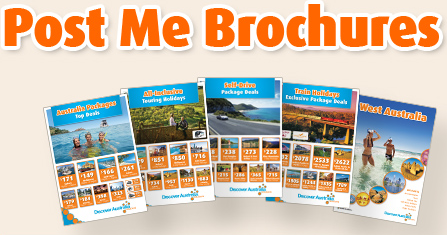 The Spirit of Queensland to Cairns All-Inclusive is very popular. Many dates book out well in advance, please book soon.